NetCDF has dimensions from which only one dimension can be Unlimited that can grow up-to any length in any direction. These dimensions can be physical quantities as latitude, longitude, altitude and time. Variable are array of values of same data type in NetCDF file. 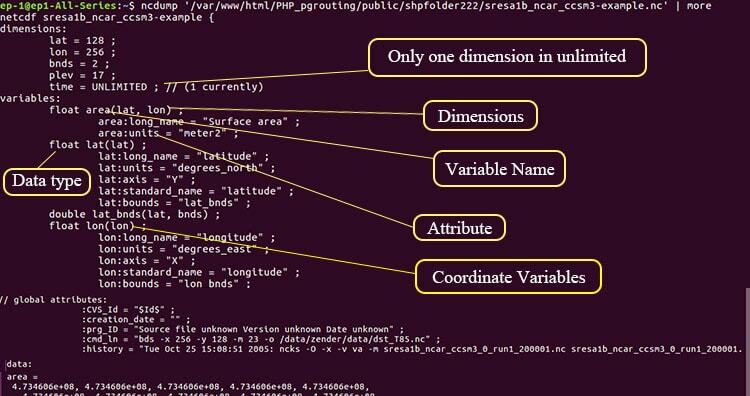 A variable has a name, data type, and shape described by its list of dimensions. A one-dimensional variable with same name as a dimension is called coordinate variable. We can take an example from figure above float time(time). It is associated with a dimension and one or more data variables. Typically defines a physical coordinate corresponding to that dimension. 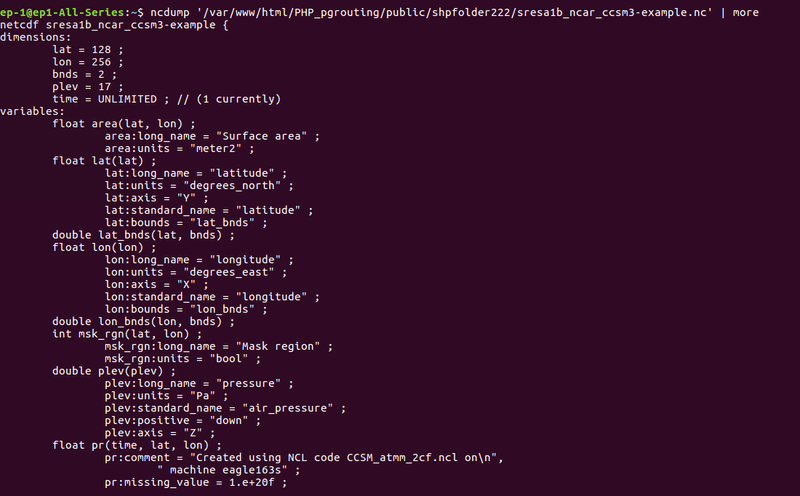 NetCDF attributes stores metadata of geographic data. Most attributes provide information about a specific variable. These attributes can be identified with structure variable name:attribute name. Attribute as Long_name shows full name of given band and Unit shows is measurement unit. The conventions define metadata that provide a description of the data in each variable and their spatial and temporal properties. A convention helps users of data from different sources decide which quantities are comparable. The convention name is available in global attribute in a netCDF file as shown below. 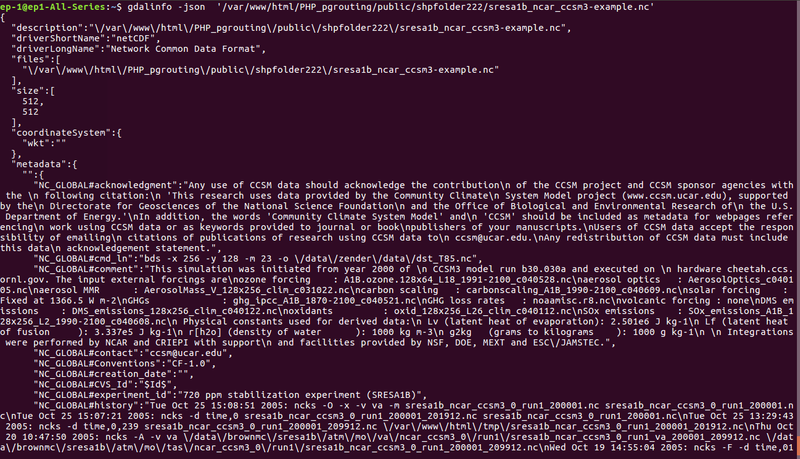 To see all these you can use GDALinfo or ncdump command. 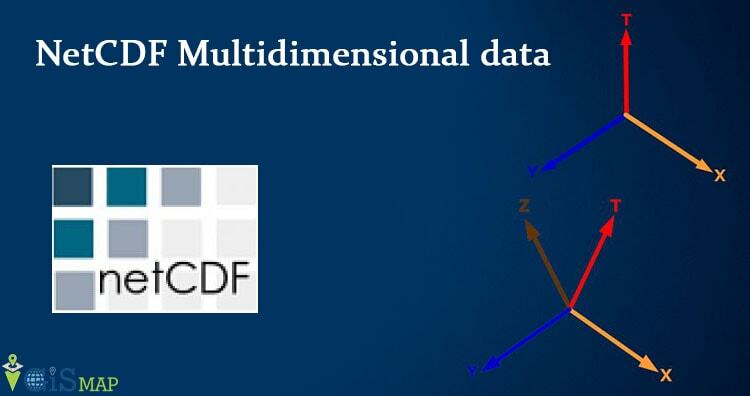 If you face any problem in understanding NetCDF multidimensional data, please let us know via comments.